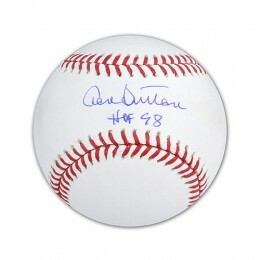 Don Sutton baseball cards and autographed memorabilia are often overlooked by collectors. This is odd given the fact that he won 324 games and threw over 3,500 strikeouts during his 23-year career. A lot of this has to do with the fact that he was never the ace of the teams he pitched for, which include the Los Angeles Dodgers, Milwaukee Brewers, California Angels, Oakland Athletics and Houston Astros. The four-time All-Star also never won a World Series despite playing in the Fall Classic on multiple occasions. 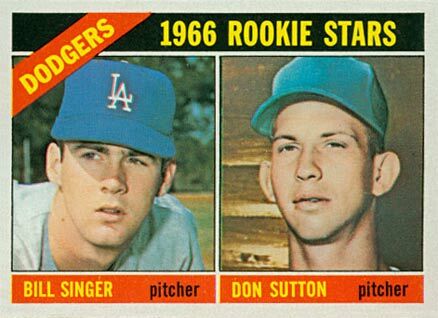 The Don Sutton rookie card comes from the 1966 Topps Baseball set. He shares the card with Bill Singer. The photograph used in the picture is from his playing time in the minor leagues with the Sioux Falls Packers. The logo on his cap is airbrushed making for a less-than-perfect cardboard debut. 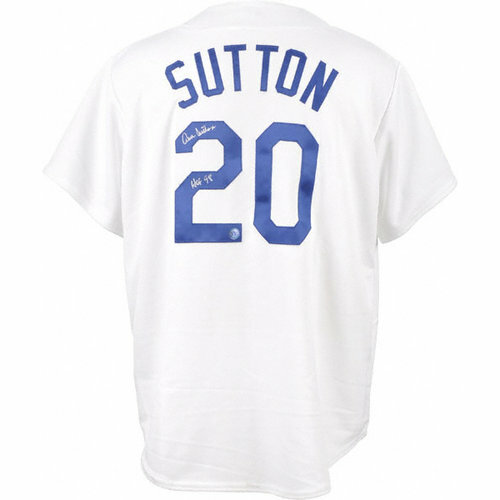 That same year, Sutton also appeared on a team-issued card with Maury Wills. 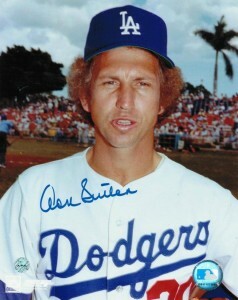 Don Sutton's autographed memorabilia is plentiful. A frequent signer at large sports collectibles shows as well as a second career in broadcasting have kept him in the public spotlight. 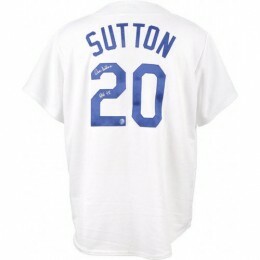 Unfortunately, the value of Sutton's autographed memorabilia suffers because of the vast supply. The upside for collectors is that you can pick up items from a 300 game winner rather inexpensively. An awkward photograph of Sutton detracts from this cards visual appeal. As was custom for the time period, Sutton shares his rookie card with another player, fellow freshman pitcher Bill Singer. 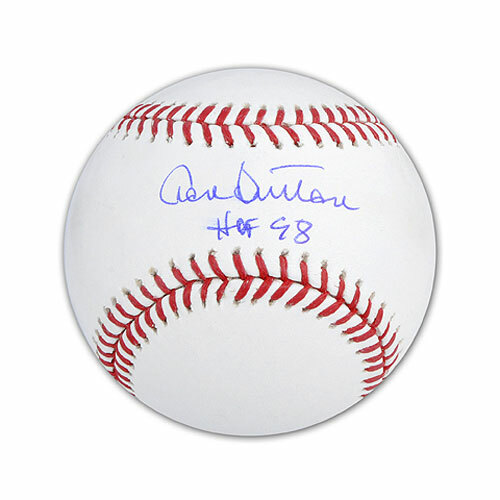 Below you will find an example of what Don Sutton's authentic signature looks like. This can be used as a first point of reference for determining the legitimacy of autograph memorabilia, but is not a substitute for having your items authenticated by a well-respected professional autograph authentication company. Some of the trusted sources within the sports memorabilia market include the following companies: PSA, JSA, Steiner, Mounted Memories and Tristar. Click on any of the images below to view full size photos. A very discernible and consistent signature written on an even horizontal plane. The "D" looks more like an "A", the "o" looks more like and "a" and the "n" looks more like a "u." The "S" looks like a "D" with a line on top. The "t"'s are usually crossed on top and disconnected from the vertical lines, the second of which created a loop to look like an "l."
The "o" looks like an "e" and the "n" is discernible but small. Brewers DON SUTTON Signed MLB Baseball AUTO w 324 Wins - Dodgers - JSA!! 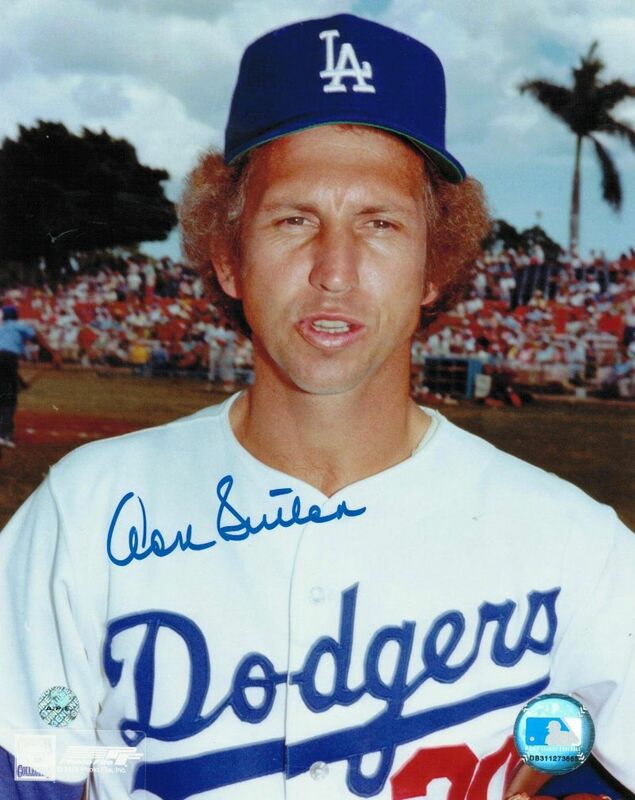 DON SUTTON DODGERS SIGNED AN OML BASEBALL INSC. "HOF 98 "COA JAMES SPENCE "JSA"